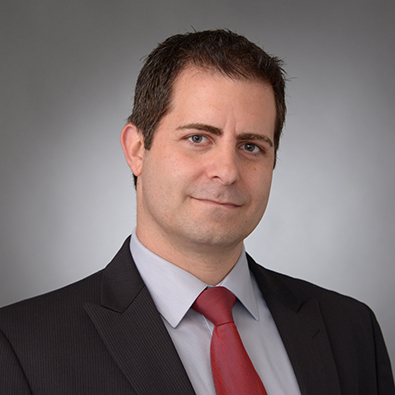 Anthony Zeoli is a Partner in the Corporate Practice Group and the Leader of the Emerging Industries Team. He concentrates his practice in the areas of banking and commercial finance, securities, real estate, and general corporate law. Anthony’s commercial finance practice includes the representation of borrowers and lenders in: secured and unsecured lending transactions; corporate reorganizations and restructuring; syndicated commercial financing transactions; and loan workouts. Anthony also has a vibrant securities and general corporate practice including initial and subsequent private debt and equity offerings; mergers and acquisitions; company formation and governance; and general contract drafting and negotiation. He has particular skill in the negotiation and documentation of transactions involving the acquisition, sale, construction, development, leasing, and/or financing of real estate and has represented parties on both sides of such transactions. Anthony is also an industry leader in the areas of crowdfunding, blockchain, securities based cryptocurrency/token offerings, peer-to-peer (P2P) lending, and Regulation A+ offerings. He also personally drafted the Illinois intrastate crowdfunding exemption, which was unanimously passed into law by the Illinois House of Representatives. Anthony was recently named to the National Law Journal's inaugural list of Cryptocurrency, Blockchain and FinTech Trailblazers. Represented multiple privately held companies in the documentation of Regulation D offerings (under Rules 504, 505, and 506(b) and (c)) of privately held securities; including the drafting of prospectuses, offering memoranda and Form D, and other required Federal/State disclosures. Prepared prospectuses, offering memoranda, SEC disclosures, and related materials in connection with the private offering of securities by both emerging and established entities. Represented crowdfunding internet portal owners in connection with the structuring of crowdfunding websites and the drafting of required Federal/State and other disclosures in connection therewith. Represented Title III (Reg.CF) "funding portal" owners in connection with the structuring of websites and the drafting of related SEC/FINRA qualification materials, including qualifying application, procedural handbooks/educational materials and other disclosures/materials in connection therewith. Represented multiple issuers in connection with the offering of securities through crowdfunding internet portals and the drafting of required Federal/State and other disclosures in connection therewith. Drafted Illinois Intrastate Crowdfunding Exemption (HB 3429) which was passed unanimously in the Illinois House of Representatives and the Illinois Senate. Working with new and existing clients in connection with potential offerings under the newly revised Regulation A (i.e. “Regulation A+”). Represented multiple privately held companies in the documentation of Regulation D offerings (under Rules 504, 505 and 506(b) and (c)) of privately held securities, including the drafting of prospectuses, offering memoranda and Form D, and other required Federal/State disclosures. Represented issuer in connection with the structuring of two-tiered, securities based token and cryptocurrency coin offering related to the cannabis industry. Represented issuer in connection with the structuring of a securities based token equity offering related to the oil and gas industry. Represented multiple issuers in connection with the offering of securities based tokens and cryptocurrency coin via both Regulation D Rule 506(c) and Regulation A and the drafting of related prospectuses, offering documents (including Form 1-A) and required Federal/State disclosures. Representation of various bank clients in the extension of asset/receivable based middle market ($10 - $100 MM) term/revolving credit facilities to healthcare and assisted living borrower entities; including the negotiation and drafting of loan agreements, security agreements, promissory notes and intercreditor agreements. Representative bank clients include The PrivateBank, Fifth Third Bank, and MB Financial. Represented lead lender in connection with the negotiation and documentation of a $32 MM syndicated loan made to a multi-borrower group and secured by multiple parcels of real estate located in several states and a collateral assignment of stock in a banking corporation. Represented lead lender in connection with the negotiation and documentation of $180 MM syndicated secured financing made to a 65-member borrower group. Representation of various sellers and purchasers in connection with the purchase/sale of properties (ranging in aggregate value up to $100 MM) throughout the country; including the negotiation and drafting of purchase/sale agreements and the review of related title commitments/ALTA surveys and all underlying documents. Representation of various landlords and tenants in lease/sublease of commercial properties; including the negotiation and drafting of gross/percentage/net (single, double and triple) lease agreements, sublease agreements and amendments and extensions to existing lease/sublease agreements. Represented purchaser in connection with the negotiation and documentation of a $97 MM acquisition and transfer of five parcels of real estate ranging across three states. Drafted documents and required filings on behalf of property owners in connection with real estate tax exemption and tax pin repartition applications. Representation of multiple purchasers/private equity funds in connection with the negotiation and documentation of middle market ($50 - $200 MM) acquisitions and buyout transactions, including negotiating transaction/payout terms, drafting transactions documentation, and analyzing capitalization issues. Representation of various privately held companies with respect to negotiating, structuring and documenting corporate formation, reorganization, corporate governance, contract negotiation and preparation, and general corporate matters. Represented privately held companies in connection with the negotiation and documentation of merger/acquisition/divestiture transactions (ranging in aggregate value from $1 to $75 MM). Represented purchaser in connection with the acquisition of a $75 MM secured acquisition financing made to a San Francisco-based private equity fund. Chaired the negotiation and documentation of multiple deed in lieu and forbearance transactions for various middle market bank clients. Representation of various purchasing entities in connection with the acquisition and transfer of certain real estate secured loan portfolios/promissory notes. Represented loan portfolio acquirer in negotiating and documents a multi-loan restructure and related deed in lieu in escrow transactions. Moderator, "Investment Funds," Freeborn & Peters Emerging Technologies Symposium, Chicago, IL (July 2018). Moderator, "Invest in Midwest: The Future of Investment," Bisnow's Big Midwest Office Event (June 2017).